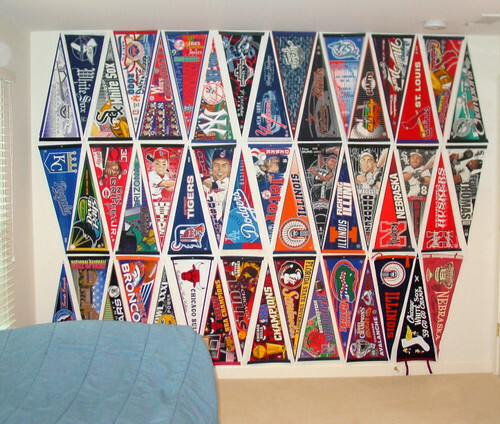 If you are looking for some amazing baseball theme bedroom decor ideas, you have come to the right place! 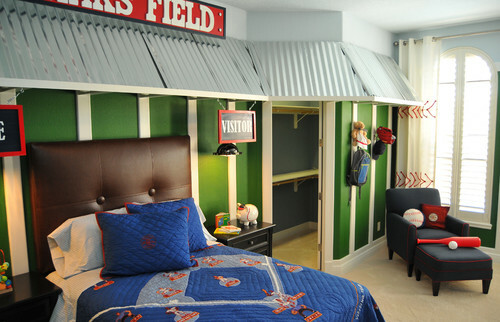 Great baseball rooms give you ideas to decorate your child’s room in the baseball motif theme. Houzz, Gentle Mint, and Autumn Place Arts are all filled with so many fabulous ideas that will transform your room into a grand slam! 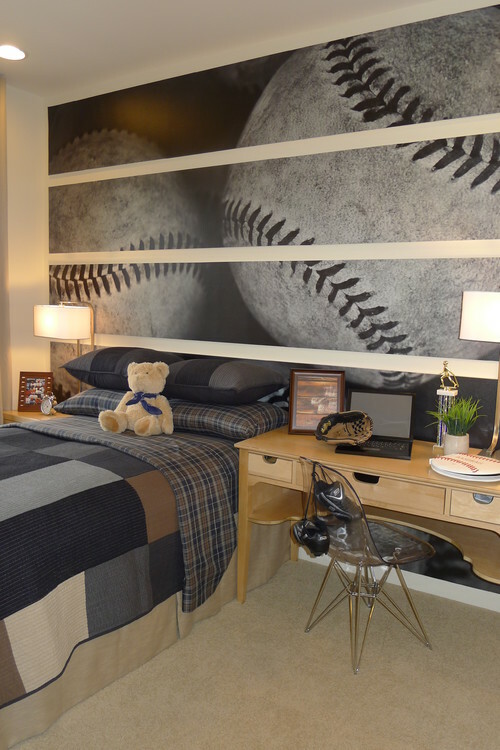 With great wall, bed and other great decorating ideas, your baseball theme room will be sure to entertain a big crowd. This image and the three above are from the same room. How do you like the great sports room touches?? The fencing and the wire baskets are perfect decor for a baseball room. Check the link for more amazing room ideas. Modern Kids by San Mateo Interior Designers & Decorators Sabrina Alfin Interiors, Inc.
Neat way to display baseballs by just placing a bunch in a clear glass vase. These stadium chairs were used in a basement by The Finished Basement. This would be a fun idea for a boy’s room. How amazing is this American Flag made out of baseball bats and balls? Great DIY that will leave a fantastic authentic feel to the room. 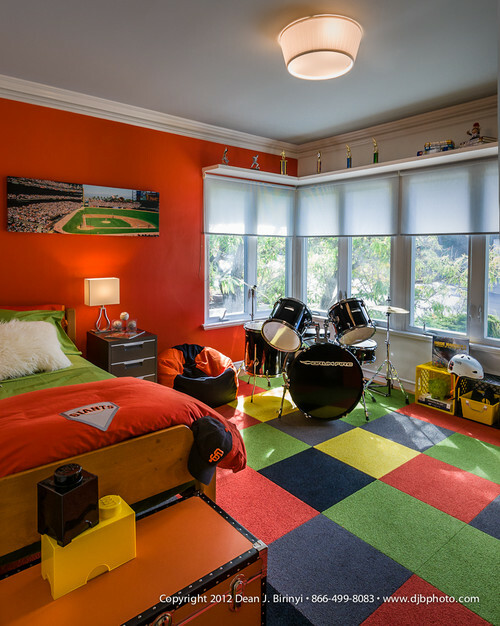 If you’re looking for more amazing bedroom ideas for boys, check out these car themed bedrooms! 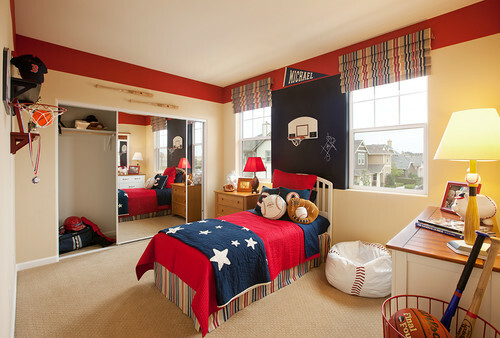 or these football themed rooms! Any help on where I can purchase the 3 piece canvas baseball wall art? Thanks! I’ve searched everywhere on the Internet!!! I didn’t design these rooms so I have no idea where they were purchased. I wish I could help. You can see if someone on Etsy.com could paint something similar for you.